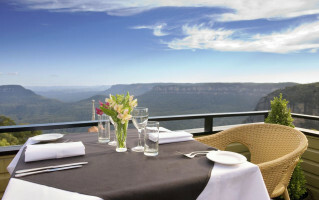 Why Visit The Echoes Katoomba Blue Mountains? There’s science to why the Blue Mountains are shrouded in such a dramatic haze of blue. But let’s not bore you with the details. All you really need to know is this: they’re magnificent. One of Australia’s natural wonders, the World Heritage-listed Blue Mountains National Park sprawls over one million hectares of towering trees, lush rainforests and immense, otherworldly canyons. And Echoes Katoomba puts you right in the middle of it. What You'll Love At Echoes Katoomba. The views from Echoes are like catnip to the nature-lover. Every room has uninterrupted panoramas of the stunning landscape and blue-misted mountains. Every guest has access to the rugged wilderness, the brilliant wildlife, the pristine country air. Romantic getaway for two? Family holiday? Golf break? Spa relaxation retreat? 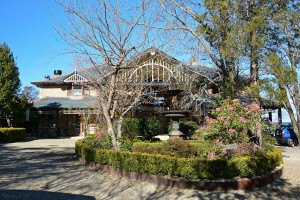 Company conference or beautifully-catered event or solitary escape to the quiet of nature? Whatever you need, Echoes has it covered. Though situated just 90 minutes drive from Sydney, this incredible location feels like a whole other world. So go on and experience it for yourself for a getaway you won’t forget. Trust us when we say: the mountains may be blue — but you sure won’t be.